"International Residential and Commercial Interiors Fair"
International Contemporary Furniture Fair the largest consumer home show featuring remodeling houses and interior designers for the furniture sector. This is an excellent event for real estate agencies to remodel their properties furniture and market them. The event allows visitors to connect and network with the topmost building, remodeling and design professionals. The event includes seminars based on latest trends and technologies to remodel your house and it also includes the types of accessories and furniture that goes well with your house. 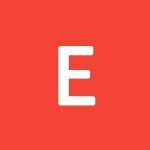 Visitors can clear their queries by discussing their issues with the professionals and find professional employees who are willing to remodel their properties at an economic cost. This is a must attend for all furniture interior designers and remodeling agencies. I love the fair and all its participants. The quality has gone up year over year. I especially appreciate the student work. The registration system is super difficult, uncommunicative and hinders the engagement with the fair. It was very good show, the international products presented at this show were very beautiful, high end and quality was superb! check in was WAY TO SLOW......Put floor plan maps at entrance too. 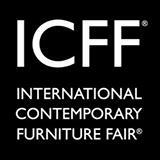 International Contemporary Furniture Fair will observe the participation of over 535 exhibitors and they will be coming different countries. The product range includes contemporary furniture, seating, carpet and flooring. Lighting, outdoor furniture, materials, wall coverings, accessories, textiles, kitchen and bath for residential, home and office will also be exhibited which come from the best manufacturers of the world. The attendees can also meet the manufacturers and designers of these displayed range and they can also interact with the experts personally.